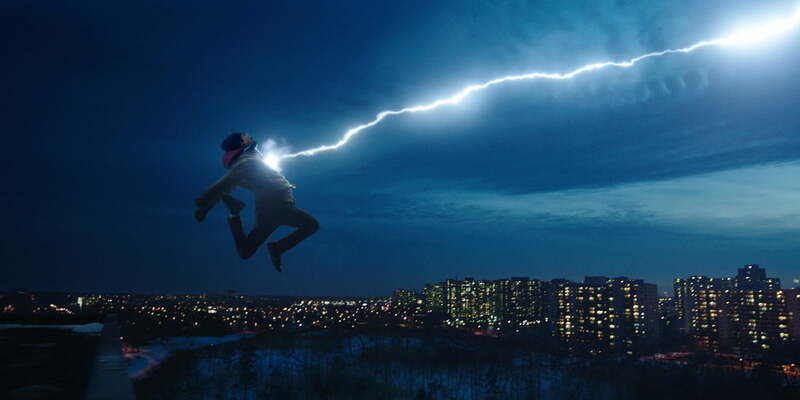 In the stories that inspired Warner Bros. Pictures’ latest superhero movie, Shazam!, an orphaned young boy named Billy Batson is granted the ability to become a powerful hero by uttering a magic word that transforms him into humanity’s champion with a sudden bolt of lightning. The adventures of Billy and his superhero alter ego were as much about him leading a dual life as both a young boy and a costumed adult hero as they were about his battles with a colorful cast of villains. Much like the comics that inspired the film, Shazam! is a film that tells two stories — and although they’re entertaining stories, the movie would’ve been better served by figuring out precisely which one it wanted to tell. Directed by Lights Out and Annabelle: Creation filmmaker David F. Sandberg from a script penned by Henry Gayden (Earth to Echo), Shazam! follows the 14-year-old Billy, who has run away from one foster home after another while attempting to find the mother he was separated from years earlier. While fleeing some school bullies, he finds himself summoned to the lair of a powerful wizard who grants him the power to become Earth’s new champion, Shazam. Before he can truly inherit that mantle, though, the superhero with the mind of a 14-year-old boy must learn about his new abilities and defeat a dangerous new enemy intent on taking his power. 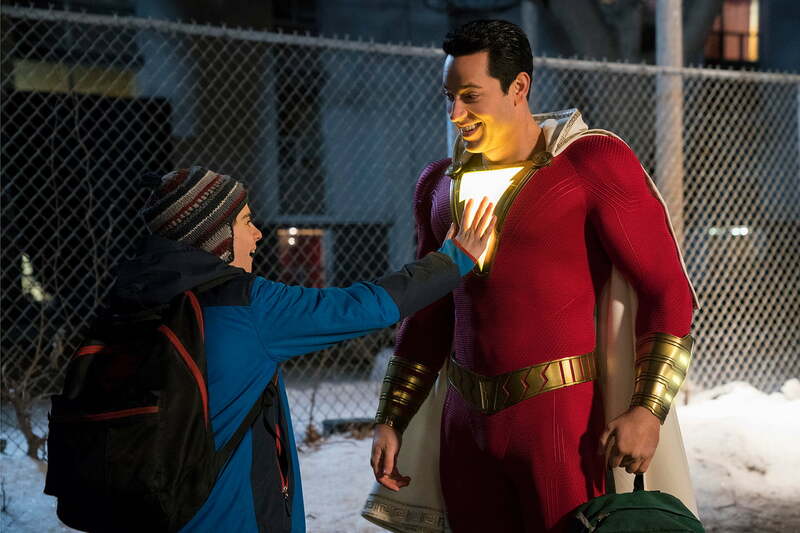 The film’s cast features young actor Asher Angel as Billy, with a comically muscle-suited Chuck star Zachary Levi portraying Billy’s superhero counterpart, Shazam. Jack Dylan Grazer (It) portrays Freddy Freeman, a superhero-loving kid living in Billy’s latest foster home who helps him learn about his new abilities. 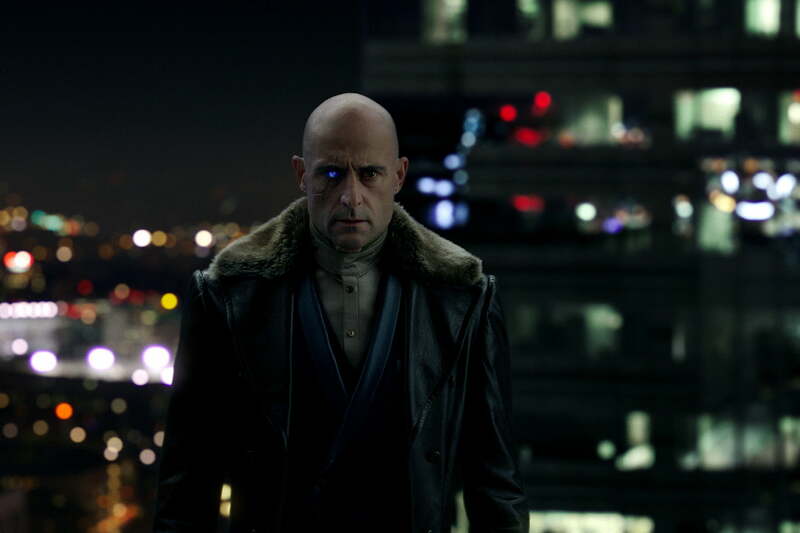 Kingsman: The Secret Service actor Mark Strong plays Dr. Thaddeus Sivana, a scientist with personal reasons for wanting Shazam’s power all to himself. In much of the marketing for Shazam! leading up to the film’s release, the movie was presented as a lighthearted, kid-friendly adventure that explored what would happen if a kid suddenly found himself with abilities akin to those of Superman — able to not only wield superhuman powers, but also (and maybe more importantly for a 14-year-old boy) to pass as an adult. It was, the marketing seemed to suggest, a superhero-fueled version of 1988’s Big. 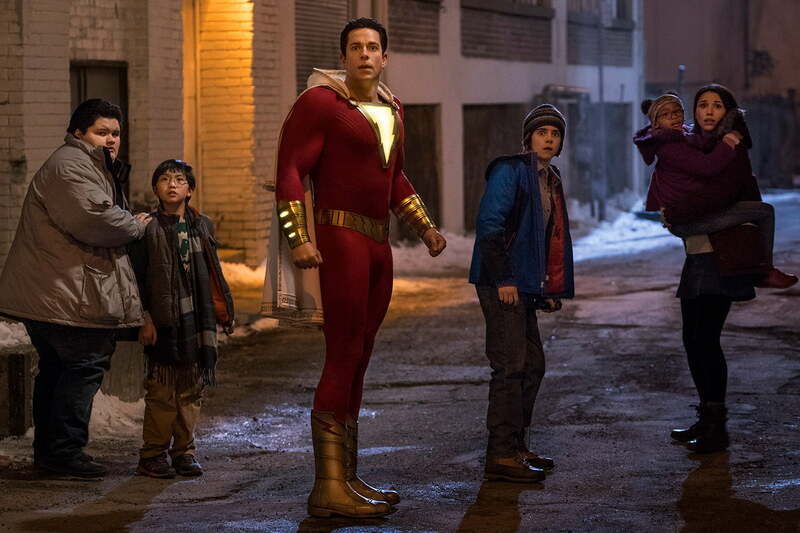 For every family-friendly laugh offered by Shazam!, the film also features some surprisingly dark elements. Trailers and clips for the film hammered that point home, framing it as a story of wish fulfillment on a superheroic scale, filled with kid-friendly jokes about Billy using his alter ego to buy beer, hit on girls, show off, and get even with bullies. 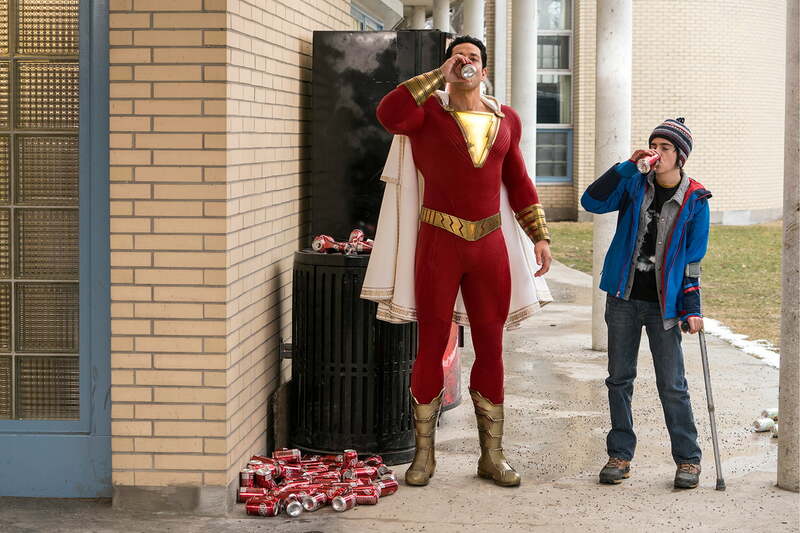 Unfortunately, the marketing only tells half the story — or rather, it only hints at one of the two, very different films shoehorned together in Shazam! 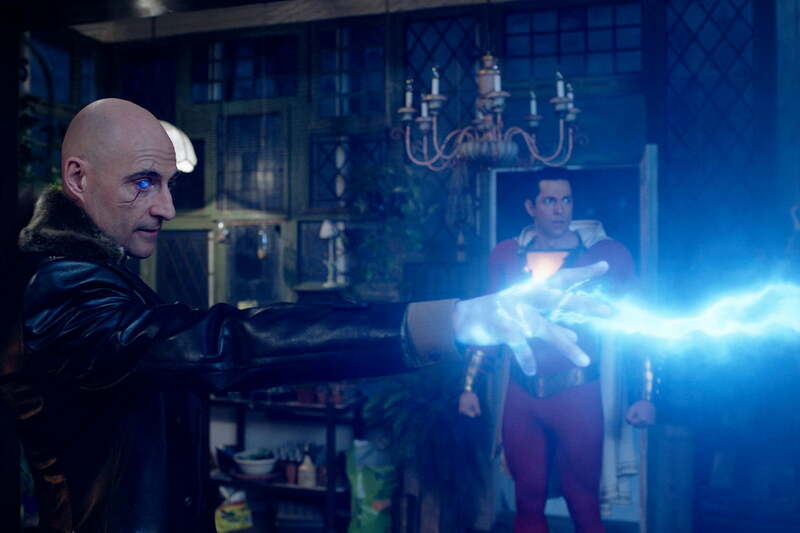 For every family-friendly laugh offered by Shazam!, the film also features some surprisingly dark elements. From an intense car crash that leaves a contorted victim coughing blood in its wake to nightmarish creatures that bite off human heads and engage in wholesale slaughter, Shazam! fluctuates wildly from kid-friendly humor to the sort of sinister elements that would seem more at home in director Sandberg’s horror projects. It’s these extreme shifts of tone that make Shazam! feel disappointingly undecided in what sort of movie it wants to be and what kind of audience it’s intended for. Is it a silly kid-as-superhero movie? Is it a film about finding your inner hero? Is it a film about how a lust for power can turn children into violent monsters if they don’t have a supportive family to help them? The answer is, well … all of the above. In one particularly questionable scene, Shazam! has Freddy encourage a pair of muggers to shoot the newly transformed Billy in the face with their handguns to find out if he’s bulletproof. It’s the sort of joke that might work in a movie aimed at adults, but as the scene unfolds in slow motion following the bullets’ path toward Levi’s face, it all just seems a little tone deaf — maybe dangerously so — for a film that aimed most of its marketing at attracting family audiences. The scene in which Freddy asks muggers to shoot his friend in the face is followed a few seconds later by one in which the pair is seen gorging on junk food and throwing around ridiculous superhero names like “Captain Sparklefingers,” making the tonal changeup that much more jarring. These weird swings in tone keep Shazam! from ever feeling like a single, cohesive story, and the overall product ends up feeling like a series of individual scenes — some silly PG superhero fun, some testing the limits of PG-13 with violence, and some that simply leave you puzzled as to why they needed to be in the film in the first place. While that unsettled tone causes a heap of problems, there’s still a lot to like about Shazam! in other areas. 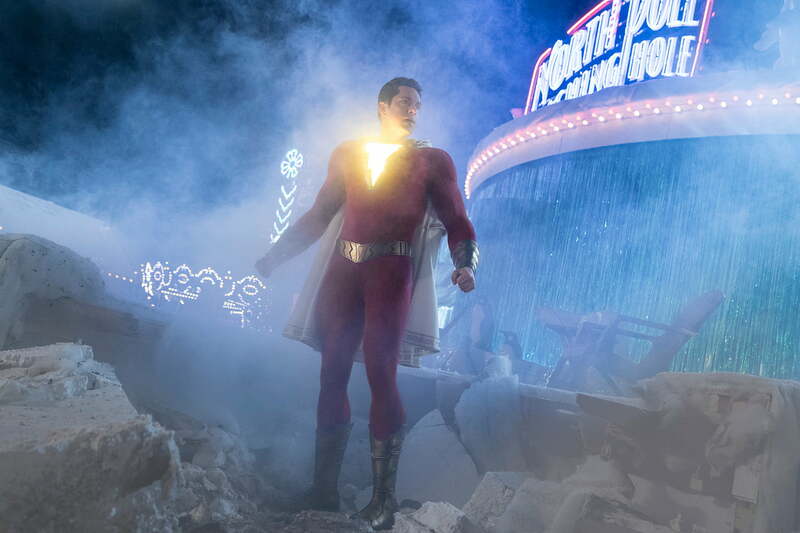 The film’s visual effects serve both the lighter fare and the darker moments well, and when Shazam! concentrates on its more lighthearted fantastic elements, it’s a lot of fun. Along the same lines, the more sinister elements of the film are also handled well, and offer up some sequences as scary — if not scarier — than anything seen in WB’s prior superhero films. Shazam! also serves up some entertaining performances from its cast, with Angel and Granger both holding their own in a film that could have easily drowned out its cast with superpowered action and fancy effects sequences. Strong also seems to enjoy playing the supervillain once again, giving the DC Comics universe a second chance after his portrayal of Sinestro in Green Lantern never lived up to its potential (through no fault of his, though). As Billy’s superhero alter ego, Levi also does a nice job of both channeling his inner 14-year-old and pulling off the more traditional hero aspects of his character. In another example of the film’s wobbling focus, however, Levi’s ridiculously overmuscled costume is far more palatable when it’s involved in the film’s lighter scenes. When a scene calls for stoicism or unfolds during one of the story’s serious (or scary) moments, Levi’s appearance feels akin to having Adam West’s Batman turn up in Christopher Nolan’s The Dark Knight. Although Shazam! has a fair share of problems maintaining a constant tone, some of the unique thematic elements it tries to deliver pay off in big ways. The nature of family and the bonds that form one — even among people who aren’t related by blood — is a major theme in Shazam! that not only gets explored in all the usual ways, but also in some unexpectedly rewarding plot points. The film’s aversion to playing it safe occasionally works in its favor like this, and sets Billy apart from other heroes in more ways than just his age. When its willingness to take some risks with its characters succeeds, Shazam! flies high and makes it easy to see the potential of the movie and its colorful lead characters. Unfortunately, the narrative whiplash that comes from a film trying to appeal to the extremes of very different audiences works against it, and the result is a movie that feels like a mashup of two otherwise entertaining films that just don’t work well together.